Peanut butter and jelly. Pencil and paper. Pillows and blankets. Across time and history, there have been duos that work so well together that you can’t think of one without thinking of the other. When it comes to footwear, the most important and well-known duo i ... (see full details) (see specifications) #RB4048. Peanut butter and jelly. Pencil and paper. Pillows and blankets. Across time and history, there have been duos that work so well together that you can’t think of one without thinking of the other. When it comes to footwear, the most important and well-known duo is comfort and protection. These Reebok Men's RB4048 Black Sublite Cushion Steel Toe EH Athletic Oxfords can offer you that combination so you have a better working experience. Having comfortable men's shoes is great, but you need to have feet that are safe from harm at work, too. These Reebok steel toe shoes are extremely comfortable. As you hustle around your place of work getting things done, your feet will feel supported and comforted, thanks to the inclusion of Sublite cushion. Sublite cushion is a lightweight form of support that helps your feet feel energized. As your feet strike the ground, the cushion absorbs the impact that you would otherwise feel if you were wearing other work shoes. Overall, the cushion lets you work longer and happier. The design is athletic, so you won't be weighed down or constricted by the bulky, largeness that hefty work boots offer. In addition to comfort, these men's EH shoes are protective. They're constructed with steel safety toe caps. The steel toes pass the requirements for the American safety standard ASTM F2413-11 I/75 C/75 EH. The standard tests protective toes to see if they can stand up to drop impact and compression without allowing harm to occur, and these men's oxfords aced that test. The standard also tests for protection from hazards like electricity. These men's steel toe shoes can keep you guarded in the event of contact with electricity due to their outsoles, which are made of rubber. These men's black athletic shoes are also slip-resistant. The outsoles have the mark II low contaminant SR rating oily/wet .52. When it comes to surfaces slick with oil, water, or other liquids, you're less likely to fall and hurt yourself. Name a better duo than comfort and protection. We’ll wait. These Reebok Men's RB4048 Black Sublite Cushion Steel Toe EH Athletic Oxfords can offer you comfort in the form of an athletic fit and Sublite cushion and protection with steel safety toe caps, as well as outsoles that are slip-resistant and offer electrical hazard protection. Get the perfect duo here at Working Person’s Store today. I received my order last Friday, quite a bit sooner than I expected. I must say I'm really impressed with the way my order was handled and the fast response to my pre-order email question. It's a pleasure to do business with a class A company. 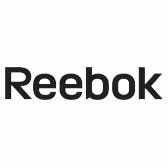 Reebok Shoes: Men's RB4048 Black Sublite Cushion Steel Toe EH Athletic Oxfords is being added to your cart.